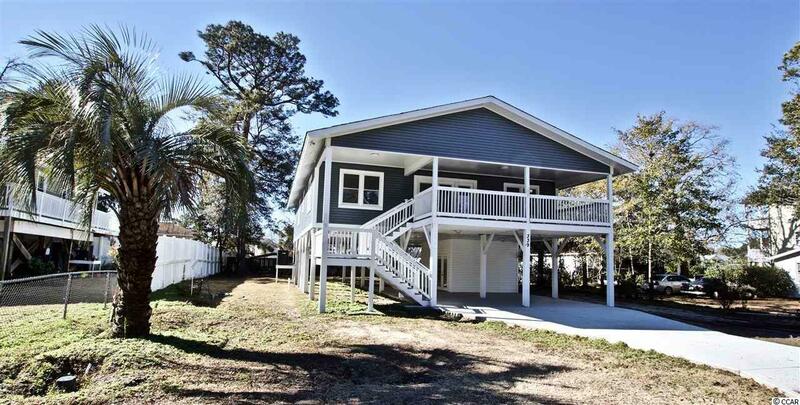 Upgrades galore just 3 blocks from the Ocean!!! This beautiful home was moved to location in April, all foundations and posts are new the siding, facia and composite decking are all new along with the Front, rear stairs and landings. The Insulation has been increased in walls and ceilings, all windows replaced with low -e argon dual pane windows and all doors replaced with energy efficient doors. All plumbing is new and Electric service updated to 200 amp service and some interior electric updated including a new heating/cooling system! Throughout the home you will find all new flooring, Ceiling fans in bedrooms and living/family/dining area. Both baths completely gutted and redone with, porcelain tile tub/shower walls and floors, new vanities with granite tops, new insulation, walls and plumbing, new glass enclosure doors! Kitchen completely gutted and redone with, new cabinets and walls recessed lighting, electric & plumbing updating, new porcelain wood look tile floor, and coming soon granite counter tops! Outside the home features a Laundry room on ground level with new water heater and Exterior shower. This home has great rental opportunity! Be sure to add this to your list, it is a must see!